Much research has been dedicated to identifying what makes a person more likely to commit a crime or to commit multiple crimes. Given how full many of the court dockets and jails around the U.S. are, it’s not surprising that this continues to be a subject for academic and social science researchers. One new study explored whether having criminal parents was likely to influence the child’s choice to engage in some type of crime in the future. It turns out that both nature and nurture could play a role in determining someone’s chances of future criminal activity. If you’ve already been accused of a crime, you are innocent until proven guilty. You need to set aside time to speak with an experienced criminal defender to protect your interests. Talk to someone who is knowledgeable about fighting back when your future is on the line. Children of criminal parents, according to an Aggression and Violent behavior study, are twice as likely to exhibit criminal behavior on their own. This recent study was done to determine the inter-generational transfer of criminal behavior. A total of 23 different samples were evaluated in 25 different publications and this included data from more than 3.4 million children. They identified that children who had criminal parents had a 2.4 times higher chance of falling into crime themselves when compared with children without criminal parents. These figures were also screened to include factors like family size, conflict of parents, socio-economic status, level of education obtained, teenage parenthood and child abuse. Even when those factors were controlled, the chance for a child who had criminal parents to break the law was still 1.8 times higher. The transfer was the most significant from mothers to daughters, followed by mothers to sons. 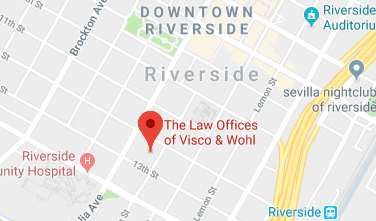 If you or someone you know has already been accused of a crime, you need to take action to protect yourself with a Riverside criminal defense lawyer immediately. This is the only way to protect your rights and avoid the possible impact of a criminal record. Quick action from the right lawyer can give you the peace of mind needed when you’ve been accused of a crime.